Space Images | Ladies And Gentlemen, Boot Your Robots! Ladies And Gentlemen, Boot Your Robots! 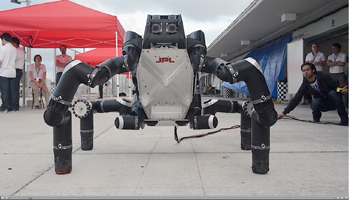 The Jet Propulsion Laboratory's official entry, RoboSimian, as it awaited the first event at the DARPA Robotics Challenge in December 2013, created to develop ground robots that can work in dangerous, degraded, human-engineered environments. Also known as "Clyde," the robot is four-footed but can also stand on two feet. It has four general-purpose limbs and hands capable of mobility and manipulation. Multiple points of contact increase stability during operations that range from climbing stairs to turning a valve. 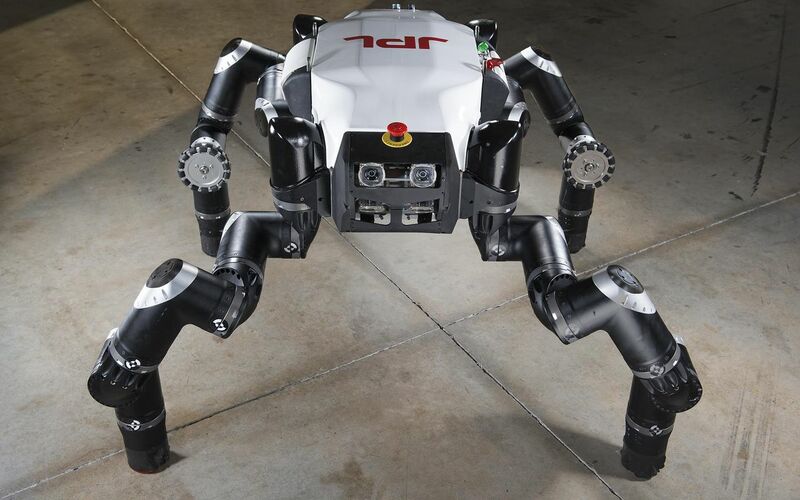 The design also allows RoboSimian to reverse direction without reorienting itself. 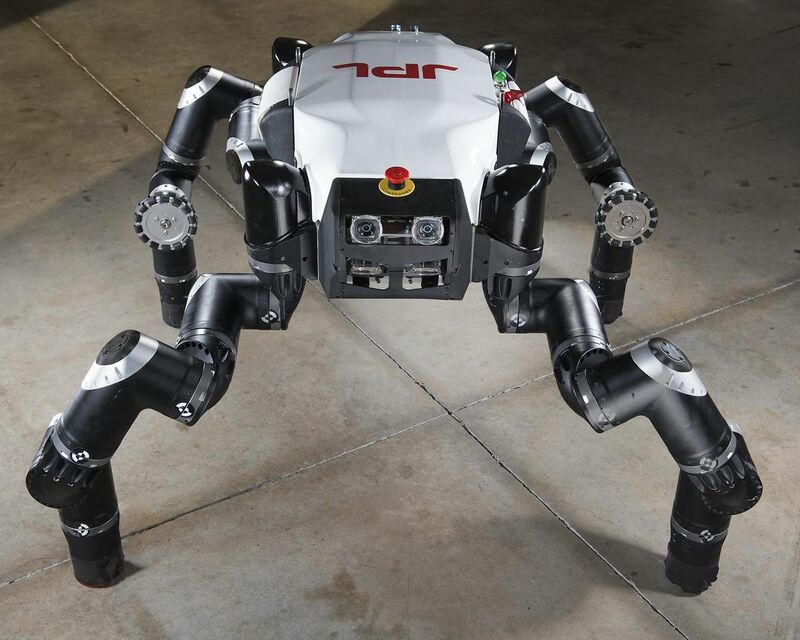 The RoboSimian team is led by JPL. Stanford University, Palo Alto, Calif., collaborated on the development of the robot's unique hands. The California Institute of Technology, Pasadena, manages JPL for NASA. 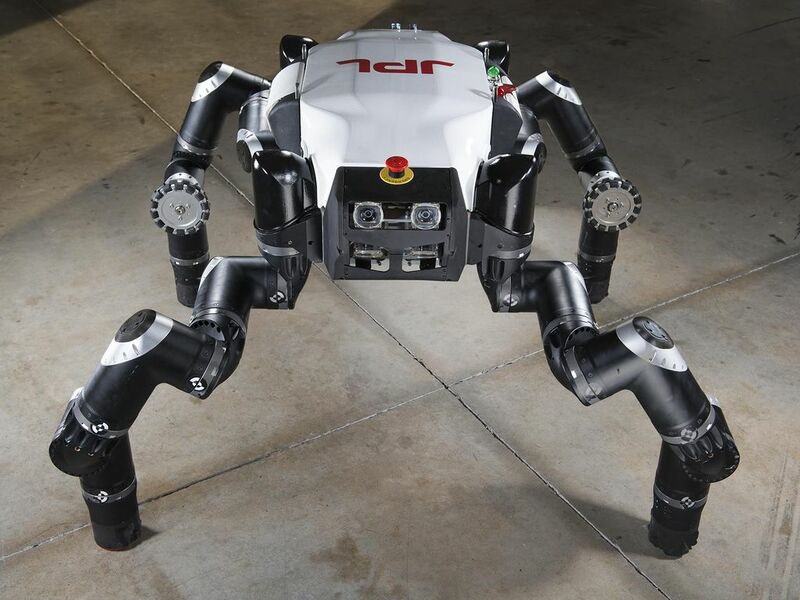 For more information about robotics at JPL, including involvement with the DARPA Robotics Challenge, see http://www-robotics.jpl.nasa.gov/index.cfm.